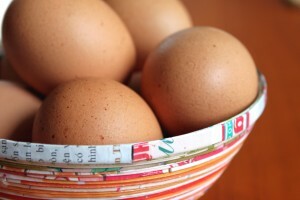 NSW Government’s Department of Fair Trading has announced it will lead the development of a draft National Information Standard on free range eggs and with regard to the current review of the Model Code and any improvements in the effectiveness and enforceability of the Code, which it said will “work to enhance consumer confidence and certainty around egg labelling”. Fair Trading Commissioner Rod Stowe welcomed the decision at a meeting of Commonwealth, State and Territory consumer affairs ministers in Cairns late last week. The decision followed a submission by NSW Fair Trading that an information standard was needed to respond to growing consumer demand in the face of confusing and potentially false and misleading claims in the market. “This is a good first step on the road to getting better outcomes for consumers when it comes to egg labelling,” Commissioner Stowe said. “NSW Fair Trading will now lead further work on this important consumer issue and expects to report back to Ministers at their next meeting in early 2015,” he said. NSW Fair Trading said a draft standard could include a definition of free-range and minimum labelling requirements for product packaging. It said the draft standard would be considered with regard to court outcomes from Australian Competition and Consumer Commission (ACCC) investigations into free-range claims on egg products. The existing regulatory framework applying to free-range eggs includes a Model Code for Welfare of Animals: Domestic and Poultry but there is no national or legally enforceable definition of free-range. The Model Code specifies a maximum of 1,500 fowl per hectare for free-range eggs. However, it allows for higher numbers of fowl per hectare where regular rotational activities occur. There are differing views among industry, regulators and stakeholders on how the maximum limit under the Model Code applies. Multiple industry accreditation schemes have led to a range of interpretations of the term free-range. Australian Food News reported in November 2012 that the Australian Egg Corporation Limited (AECL) was pushing for a stocking density of 20,000 birds per hectare. In July 2013, the Queensland Government increased the stocking density for free-range eggs in that State from 1,500 to 10,000 birds per hectare. In June 2013 the South Australian Government announced an industry code that would see eggs certified free-range only if they met a maximum stocking density of birds per hectare. Australian Food News reported in October 2013, that consumer group CHOICE had outlined a range of concerns to NSW Fair Trading regarding free-range egg labelling including that the egg industry had admitted many eggs labelled as free-range did not meet the Model Code. In its response to CHOICE in December last year, NSW Fair Trading noted the potential for cross border issues resulting from the lack of a nationally enforceable definition of free-range and identified the importance of consumers having access to consistent and accurate egg-labelling to make informed purchasing decisions. Commissioner Stowe said consumers were increasingly taking into account values-based considerations when making food purchasing decisions. “Consumers nationally have a right to clear and comprehensive information from industry to guide their purchasing decisions and they want transparency and consistency across borders,” Commissioner Stowe said. “There is too much confusion about the difference between the terms free range, barn laid, aviary and cage eggs and what they actually mean,” he said. “There is a need for co-ordination between industry, government and regulatory and non-regulatory agencies to develop a sound approach to clearer labelling requirements for egg producers,” Commissioner Stowe said. CHOICE said the decision by Australia’s consumer affairs ministers to commence the development of a draft National Information Standard for free-range eggs was “great news for consumers who have been paying a premium for dodgy free-range eggs for far too long”. “Our super complaint to NSW Fair Trading last year pointed out that while close to 40% of the egg market is free-range, the egg industry has admitted that many products labelled ‘free-range’ fall foul of the existing voluntary definition,” said Matt Levey, CHOICE Director of Campaigns and Communications. “This means a large number of consumers are shelling out for free-range duds, paying double the price of cage eggs, without having any confidence these products meet their reasonable expectations,” Mr Levey said. “It’s great to see the law will finally be laid down on what ‘free-range’ really means, and we congratulate NSW Fair Trading for leading this process,” he said. “The crucial next step is ensuring the new standard reflects consumers’ expectations and the best advice of animal welfare experts, ensuring it is not only nationally consistent and enforceable, but meaningful,” Mr Levey said.